With the impending council update on the horizon, it will soon be that time of year where the Governor dusts off his eyepatch, Glenn puts his eye back in the socket and Maggie returns from wherever it is that she has disappeared to! 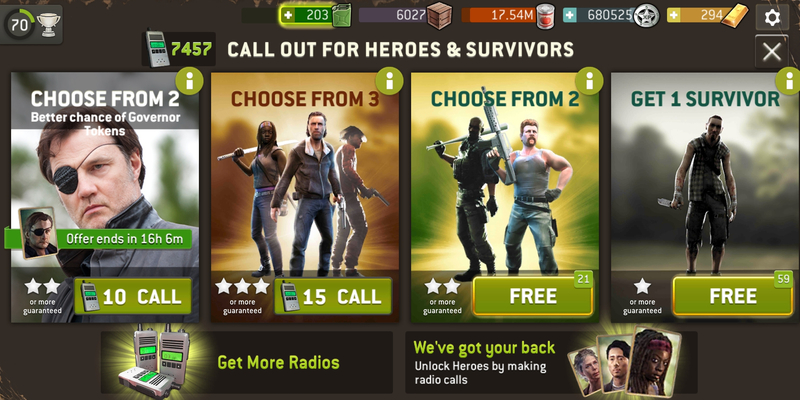 Could we have a double call for the 3 farming heroes please?! What's Governor leader trait at different levels? I am kind of envious of your self control @bladgier but then again I’m loving Sr and couldn’t get as far as I do in challenge/gw without him! I've rebadged this week from my main scout to S Rick. He's doing better than 3 pink scout lol. 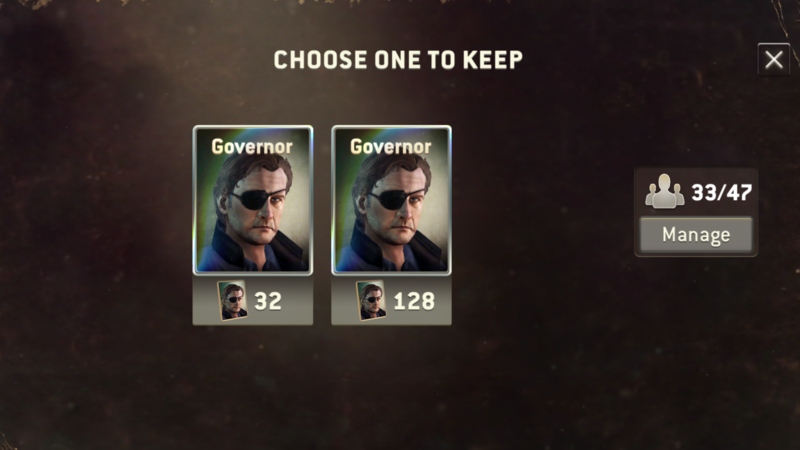 Maybe i am missing something but what is the purpose of needing to farm the governor with the impending update? I assume most people already have him at legendary? 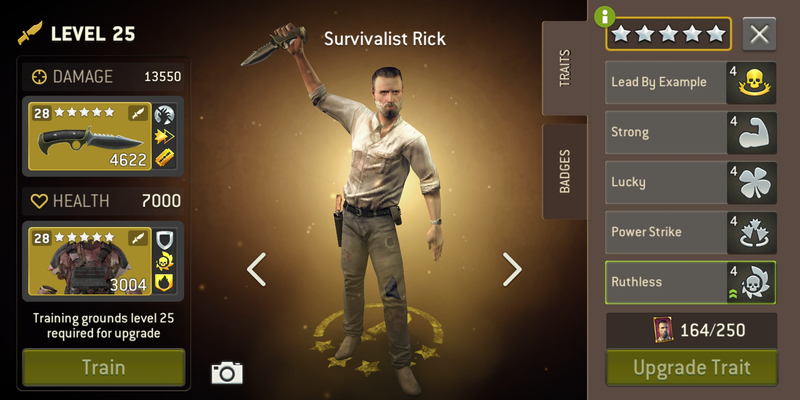 I use the gov for all scavenge missions and until around level 29 or 30 in challenge missions. Getting him to pink would be useful for me. Increases his leader trait even if it's not by much. @bladgier! Amazing, he’s so much fun to use. How many phones have you saved up now ready for his double call? > I use the gov for all scavenge missions and until around level 29 or 30 in challenge missions. Getting him to pink would be useful for me. Increases his leader trait even if it's not by much. @bladgier hats off to you mate! I seriously couldn’t manage that! Most I’ve ever had is 700! You are going to be rick rollin when we do get a double call in 6 months time!